In 2015, Avera Health began a Zero Suicide initiative to collect patient data and track the effectiveness of depression screening and treatment. But there were a pieces of data that Avera couldn’t access...until now. 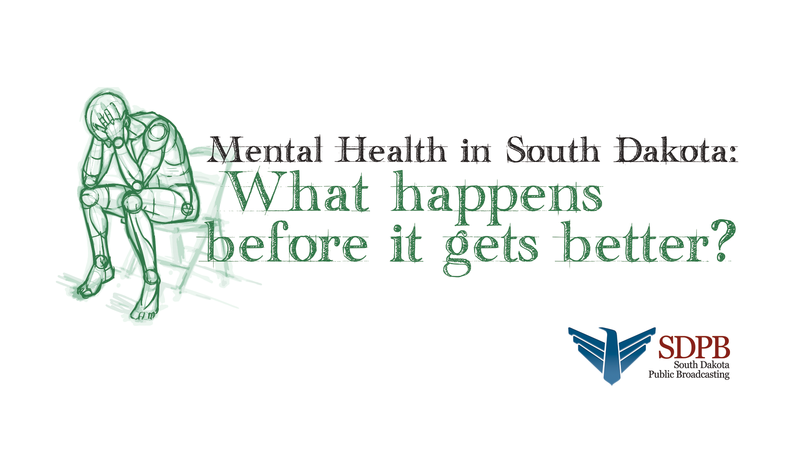 A new partnership with the South Dakota Department of Health is filling in data gaps to help prevent future suicides. Dr. Matthew Stanley knows first-hand what it’s like to lose a patient. He’s in charge of Behavioral Health Services for Avera. Dr. Stanley says collecting the right data can show which approaches to care are effective and what needs to change. That has not been the case with Avera’s Zero Suicide Initiative. Kristi Sidel is the director of quality for Avera Health. She says over the last three years, the behavioral health system has instituted a standardized depression screening for more than 90% of its patients. Care providers have made a personal safety plan with 96% of patients. And because of those preventative steps, Sidel says there’s been a decrease in repeat visits. In other words: the more patients are screened and counseled , the fewer try to take their own lives. . Still, Dr. Stanley notes there was a missing piece of the puzzle. So Dr. Stanley approached the South Dakota Department of Health with an idea. “The quicker we can get to that data, the quicker we can make it relevant to us, the better the data,” he says. To do that, Avera wanted access to state death records when it’s former patients died from suicide. And the Health Information Exchange lets that happen. “You would call the other facility and say, ‘My patient says they were treated by you. I don’t have any of that information in my file here. Could you please fax it to me?’ That’s the scenario most of us would have been used to prior to electronic systems,” explains Adam. While doctors typically use the information exchange to search for their patient’s records, now they can use it to track specific results. The project required legal agreements and updates from IT departments. Avera Quality Director Kristi Sidel explains patient confidentiality is still maintained through the computer-generated match. In fact, Joan Adam with the state health department says electronic data are ultimately more secure than paper files that would require human examination. “Through that electronic process, it will ping how many have that particular cause of death listed,” she explains. And the medical information isn’t limited to Avera’s behavioral health patients. Dr. Stanley explains they’re interested in patients who’ve touched any part of their healthcare system. “Could be ER, could be primary care, could be behavioral health, could be any number of things. Ophtamology, any kind of care, and later at some point they did commit suicide,” he says. That’s important because ultimately, Avera aims to expand its Zero Suicide initiative and depression screening to all patients. The first information from Avera’s partnership with the state came out earlier this year. Dr. Stanley says they’ve noticed some very general trends. First, many Avera patients who later took their lives were never part of the Behavioral Health System. Second, a significant percent saw a primary care provider in the month before their death. Dr. Stanley says this data is not meant to assign blame to any person for a patient’s eventual suicide. He says it's unlikely those physicians failed existing protocol in any way. This new approach at evidence-based medicine requires proof that specific care is effective. As Avera takes this new data source into account with the rest of its Zero Suicide Initiative, that proof may emerge. Until then, the information holds potential for improved patient care.